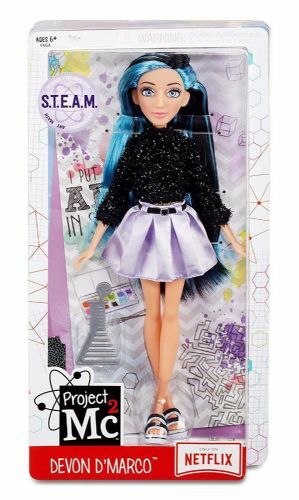 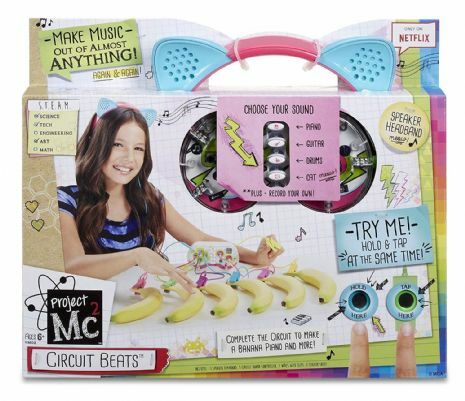 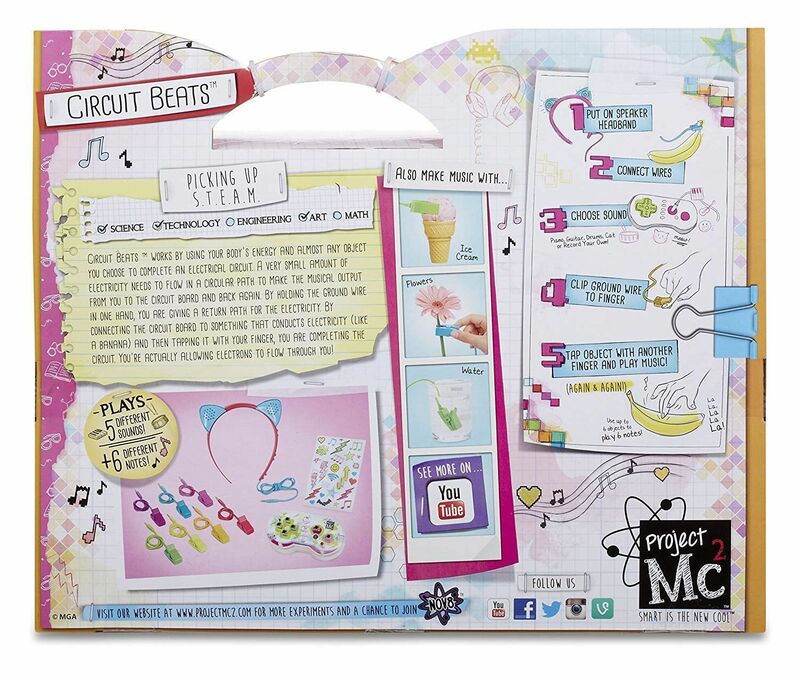 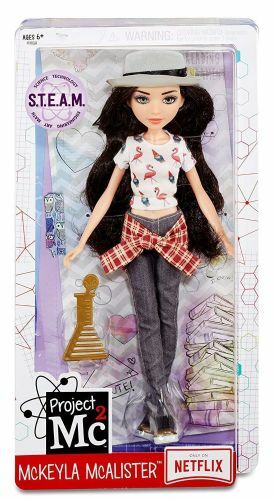 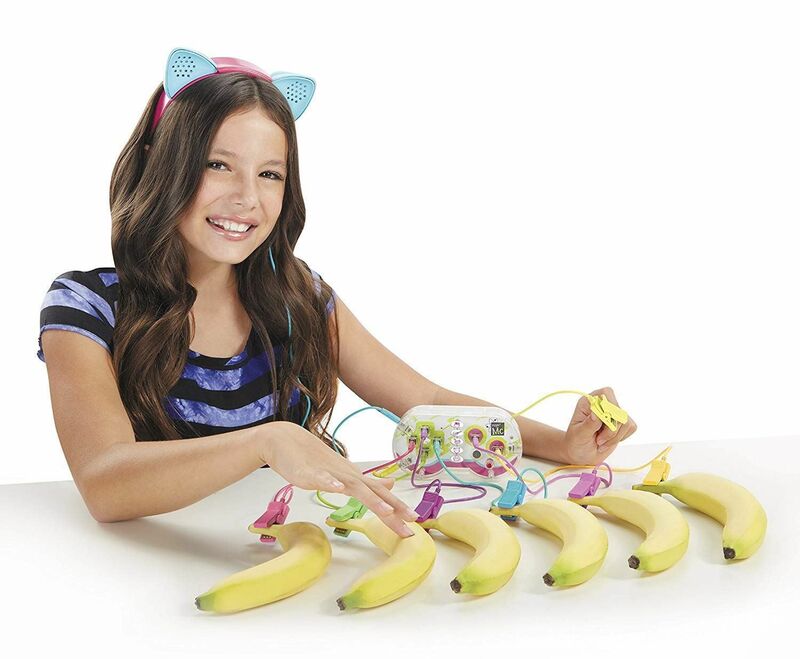 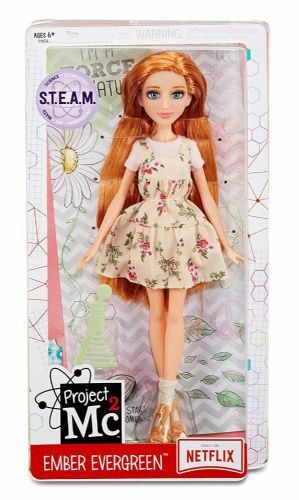 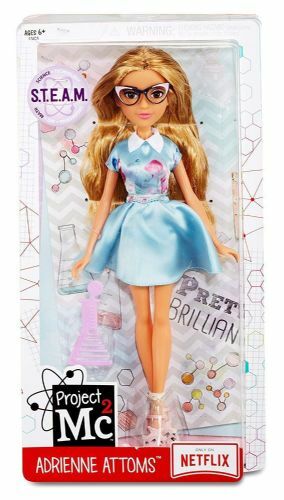 Make music out of almost anything, just like Project Mc2 tech genius, Bryden Bandwidth! Circuit board with buttons to select from 5 different sound options -- piano, drums, guitar, cat meows or record your own! 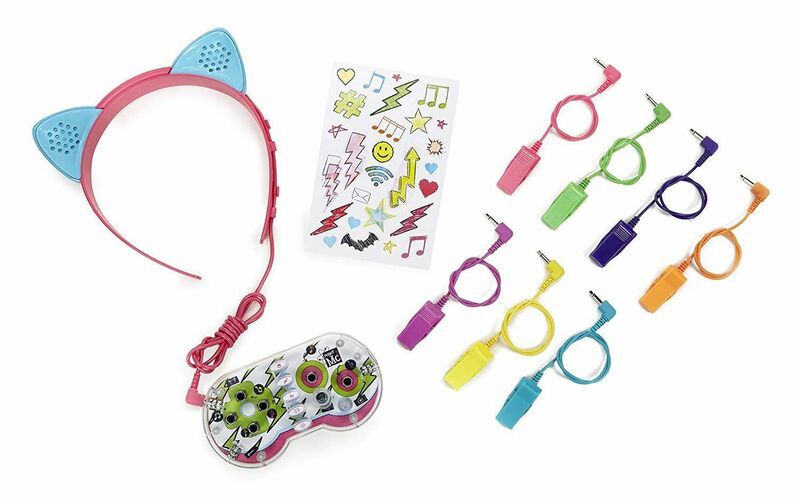 7 brightly coloured wire clips to connect to objects you want to use to play music Cat ear speaker headband to broadcast your beats From the Netflix original series!